Four decades of motor sports history were written here. In 1969, when the Österreichring was established, the Red Bull Ring was recently converted and celebrated the comeback of elite motor sports in June 2014. 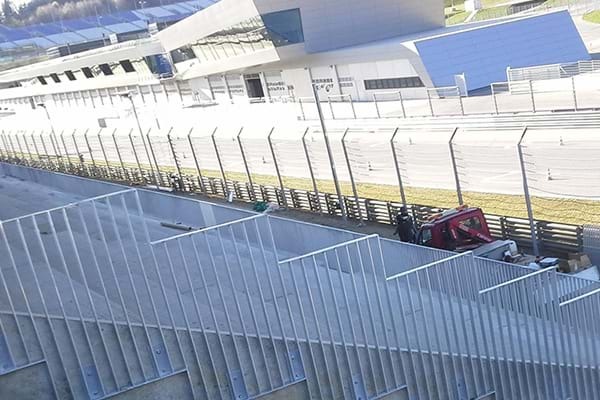 Over two kilometres of railings and balustrades, hot-dip galvanized by ZINKPOWER Gratkorn, were installed and secure the individual steps and access to the spectators' stands.